Sew what's cooking with Joan! 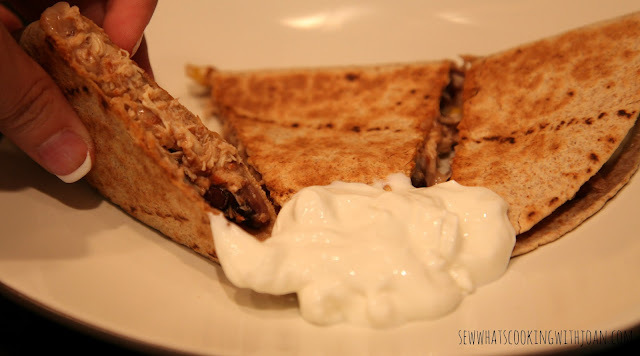 : May SRS -Black Bean Avocado Quesadillas! 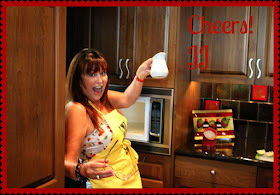 For this months SRS, we were assigned Jutta from www.HungryLittleGirl.com -the creator of this monthly recipe swap! I enjoyed looking through all her recipes as she has a nice variety of healthy and comfort type dishes. TT and I are focused on eating healthier so it was hard not to whip up one of her delicious casseroles. So many to choose from! I ultimately decided on something "lunchy" and light so I chose her Black Bean Avocado Quesadilla. I changed it a little bit because I didn't have an avocado on hand and had some left over southwestern chicken from a dinner the previous night. My southwestern chicken was made in the slow-cooker and had shredded chicken breast, black beans, corn and a can of Rotel tomatoes with green chiles. It's super easy and healthy. I thought adding this mixture to these quesadilla's would make a nice addition to the cheese. I didn't add anymore black beans as my southwestern chicken already had it. Here is my verion of Jutta's Black Bean Avocado Quesadilla's. Mix together the shredded chicken, black beans, corn, and Rotel tomatoes in a medium bowl. You can either heat the mixture on the stove or use the microwave. Place a tortilla on a grill pan and sprinkle half the chicken mixture on one side of the tortilla. Sprinkle half the cheese on top of the chicken mixture and fold the tortilla in half to form the quesadilla. Let heat for 2 minutes on one side and flip over to heat another 2 minutes. Once cheese and chicken mixture is melted, take off grill pan and cut into pieces. Place a tablespoon of sour cream on plate and garnish with a sprig of cilantro if desired. These were really good and were devoured in less than 5 minutes! The perfect lunch that has lots of fiber in it to keep you full. Thanks Jutta for an easy and healthy go to recipe! These will definitely go on rotation in our house! Good till the last bite....! If you would like to join us all in participating in the monthly SRS, visit this link and get signed up! 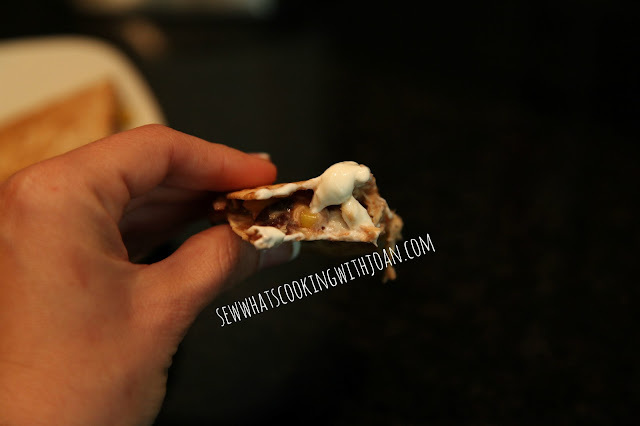 It's a great way to learn of great new recipes and network with other creative food bloggers! JJ is back this week with a brand new post! Come back Wednesday to see what she has been up to! Wow! Great blog Amy!! 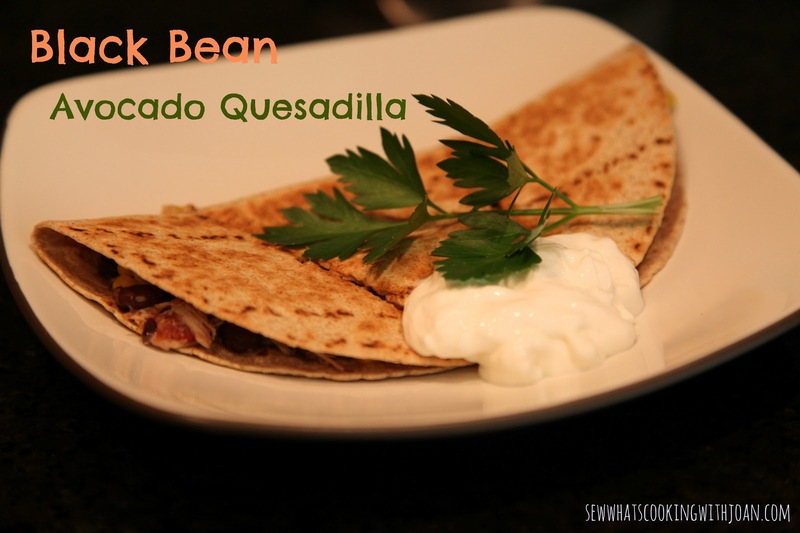 I want to make these for Billy and I, but, he say's "black bean" makes his mouth itch.............hmmmm I need a good substitute for the black bean.